Decimate your oponents with the help of heavy artillery! An Officer will coordinate the barrages of leFH 18 and Panzerwerfers after targets have been identified by motorized scouts. 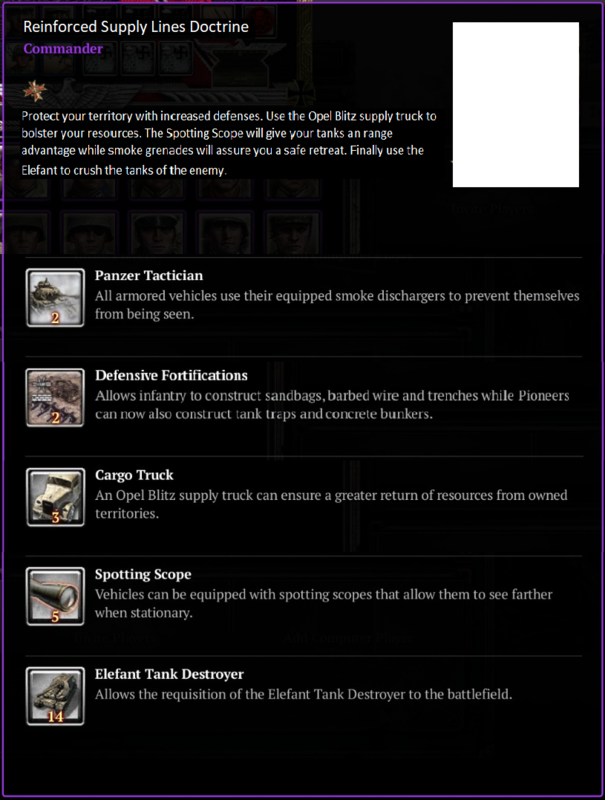 Opel Blitz trucks will ensure the ammunition supply for the devastating Panzerhaubitze Hummel, which will pulverize enemy forces. In almost every bigger teammatch (3v3, 4v4) you see allies spamming Katys and Priest/Sextons and currently that german kindergarten-artillery isn´t performing even comparable. While OKW still has the walking Stuka, the Wehr have only the controversial Panzerwerfer and puddingly leFH 18. Buffing the leFH 18 will not only help this commander, but also make many others much more usefull. on the indirekt front support. Of course, Opel Blitz Trucks are kinda obvious and fit in well with the theme. 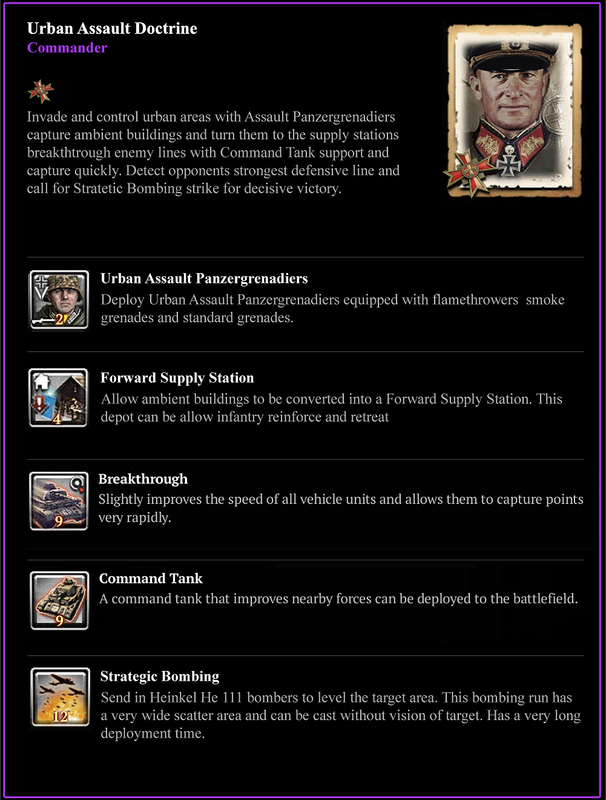 To be honest, I miss the plump Hummel from the first coh part so I decided to represent it by this off-map Artillery-strike. Since this self-propelled howitzer had a significantly larger caliber (150mm) than the leFH 18 (105mm), this justifies the wide range and massive damage that this ability gives. When combined with a reconnaissance plane of your teammate, even Hummel's friends, Priest and Sexton, can be caught on the wrong foot if the opponent does not pay attention to them. It was customary that the German armored formations were supported by their own artillery divisions, consisting of light howitzers Wespe (here the leFH 18) and the heavy Hummel howitzers. The officer represents the then usual forward observers and the Opel Blitz Cargo Truck stands for the supply lines that were necessary to ensure the supply of shells. The Spotting Scope rounds off the theme of the motorized artillery regiment. Here is my suggestion please choose an appropriate Picture to represent the comander. If the cargo truck makes this op please replace it with reconacense overflight.